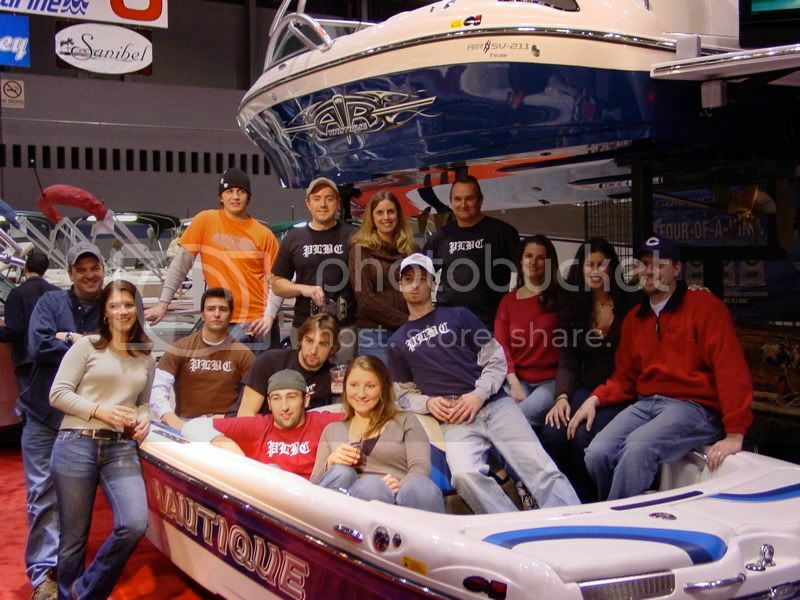 Just wanted to remind everyone that is attending the Chicago boat show this week to seek out the folks from Lauderdale Lakes Marine, Travis was my contact, and thank them for sponsoring the pig roast at green lake last summer. It's time for me to start making phone calls and to remind these guys that their money was well spent will go a long way for us when we ask them to do it again. Also, if you bump into Adam Wensink from Midwest Correct Craft make it known that we're looking forward to him coming out this year. Adam is a CC sponsored pro wakeboarder and CC has committed to have him come out with a demo boat and put on a boarding clinic and demo. So far the pro circuit dates do not conflict with us so this looks like a sure thing this year. There is also a new CC dealer from the Wilmington? area, I forget their name but they will be sharing the booth as well. Make it known that they should get involved with Green because they're on our list to contact now. Thanks everyone, talk it up..
Plus other representatives of the PLBC crew (Johnny and the other 2 guys and gals that I will never remember the names of), plus Mrs. M3, 81, and RL79. Had a great dinner with 81 and RL79 afterwards. ...Pics? Of course. We all piled into the 2007 206 there for a group pic. I brought the smaller "backup" camera which didn't have the flash on, so my pics look like crap. Perhaps someone else could post their version of the pic. Show highlights: Checked out the new MC 214. The 214 is supposed to be MC's new open bow ski boat. Looked very spacious and nice- hopefully it skis as good as it looks. Checked out the 236 in person as well. Big boat. Also saw the 07 RLXi for the first time. Much nicer looking in person, although I still am not crazy about the looks. We scoped out the new Chris Crafts, which look outstanding. They also have about the neatest engine compartment I've ever seen. Perhaps they'll ditch the I/O's one day and go back to straight inboard- until then, I'll pa$$. Parrish was at the show. I didn't meet him since we dashed out for dinner but it was cool that he made it to the show. One of the dealers mentioned that he told them to let him know if anyone wanted to talk about Nautiques! Glad to have him on board. Cool picture wished Wendy and I could have made it . Sounds like you all had fun . That looks like a crew that should have numbers on their shirts, not letters. Really, looks like it was fun. Hey gang, Glad we were able to make it out, had a great time as usual. Our small mob blew the CC folks away as 2 of the dealers committed to helping us out again this year for the reunion. I think we're the best promo tool they've ever had up here and they embrace our enthusiasm. I can already smell the hog roasting. Cant wait to see ya at green lake again this year!And all the new attendees! Definitely a great time. We're lucky to have a great group in the IL/WI/IN area. Should be a great one at GL this year! Hows the motor situation? Did you get the new one in? What did you do with the other gt-40? I think we're it in KC. Here at Winnebago there are a few Nautiques, maybe a half a dozen at the most. There was one family that had their 2001 listed in the for sale section here last spring. I've tried to encourage the guys in Winnebago to get on this site, maybe when spring comes. I think I'm going to the boat show this Saturday, taking my son with me. I think i'm going this Friday? Also i got the Dripless shaft seal yesterday and might need a second hand for help? Does yours have on on it? It ought to be easier to install with the motor and transmission out now. I also ordered a swim plattform and it should be here in a few days.... Might be a weekend project one of these weekends? Keep pa$$ing the word to those people over there and maybe we could have a group photo next year? You not gonna make it to green lake this year Chuck? Bummed again, can't make GL. I've got a wedding on that Saturday. I don't have the dripless system, I do have the ARE shaft sytem now. 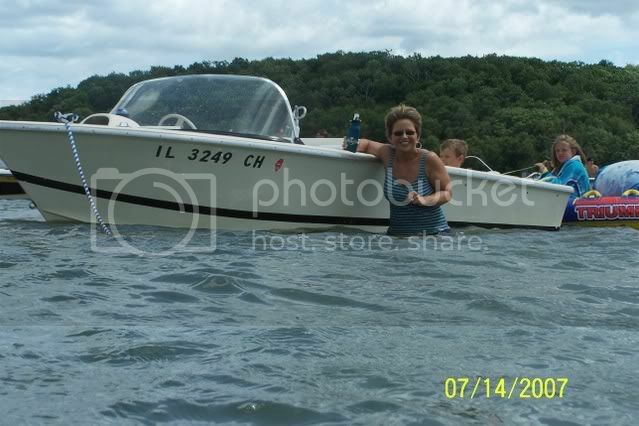 But, give me a shout, I want to see your boat again anyway, glad to help out. Killer pic you guys... Sorry I couldn't make it.. Look forward to the next outing.. Talked to the marina last week....they said they weren't going to start on it until Feb some time, because they had "major" projects in front of it. I thought mine was pretty major, but I guess they don't think so. So, to answer your question, the old GT40 is still in the boat. I think I'm going to just sell the whole thing on here as is. A few people want bits and pieces off of it, which I was going to do, but now I think I'll just get rid of the whole thing as one. I have to wait to see the new one to know what exactly has to be taken off the old one. Basically it will be the heads, block, manifolds, etc. I'll let you guys know as soon as I do....somebody will get a good deal if they want a project and want to drive to South Bend to get it. dude i will be looking for it when you post it on here!! I want a ride in that damn thing at Green Lake!! What a bad a$$ ride! Hey,.....Where is Quinner in the picture....Didn't see him in there>? Quinner was actually signing papers on a Bayliner when we took the pictures. He showed up a few minutes later. Had to crank his ##### back and forth a few times. The internet tough guy has really been taking a beating around here lately. Alan, Rob thanks for sticking around. We showed up a little later than planned it was nice to see you guys and your lovely wives agian. damn......poor quinner gets picked on way too much. Quinner.....Aren't you even gonna respond to PLBC? maybe quinner could start baylinerfan.com?